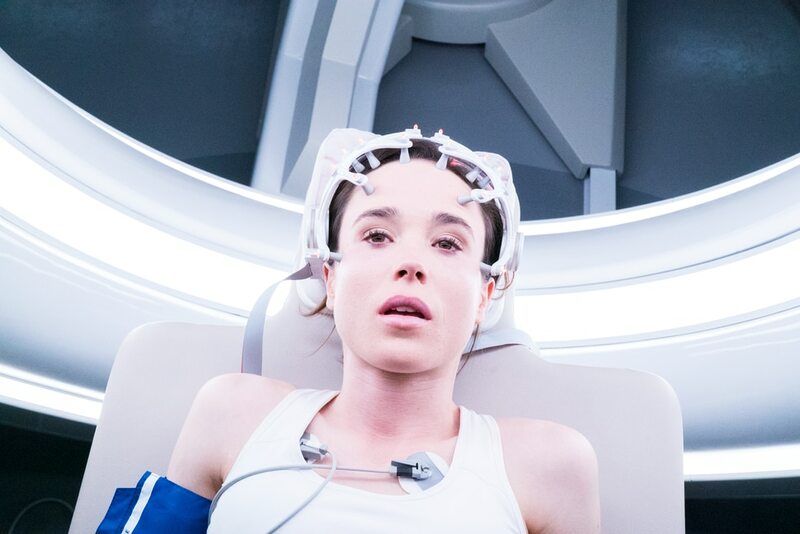 (Michael Gibson | Columbia Pictures) Ellen Page plays Courtney, one of a group of medical students who get their kicks stopping their hearts, in the thriller Flatliners, a remake of the 1990 movie. (Brooke Palmer | Warner Bros. Pictures) Pennywise (Bill Skarsgard), a clown that terrorizes children in a Maine town, is the central figure of It, based on the Stephen King book. (Jack English | Universal Pictures) Michael Fassbender plays detective Harry Hole in The Snowman, based on Jo Nesbo's murder-mystery book series. 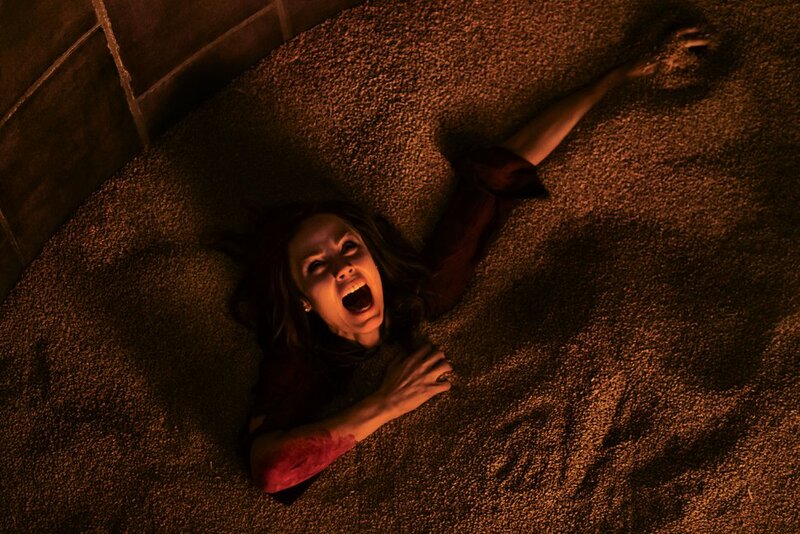 (Brook Palmer | Lionsgate) Laura Vandervoort stars as Anna, one of the victims of the resurrected Jigsaw Killer, in the horror movie Jigsaw, a continuation of the Saw franchise. (Chip Bergman | Lionsgate) Tyler Perry returns as Madea in the horror spoof Boo 2! A Madea Halloween. (Courtesy Entertainment Studios) Marina (Liesl Ahlers), a student who kills herself, returns to haunt a classmate via social media, in the horror thriller Friend Request. (Courtesy Universal Pictures) A college student (Jessica Rothe) must relive her birthday, which is also the day she's murdered, over and over again, in the horror thriller Happy Death Day. Fall is arriving at the movie theaters, and for some moviegoers, it’s time to scream. Horror movies are making a big splash at theaters, most of them before Halloween — with classic titles getting revisited, new ideas being tried and familiar tropes trotted out in new forms. Cassidy Ward, an editor at the Salt Lake City-based nerd-news website Big Shiny Robot, said being scared is in our DNA. 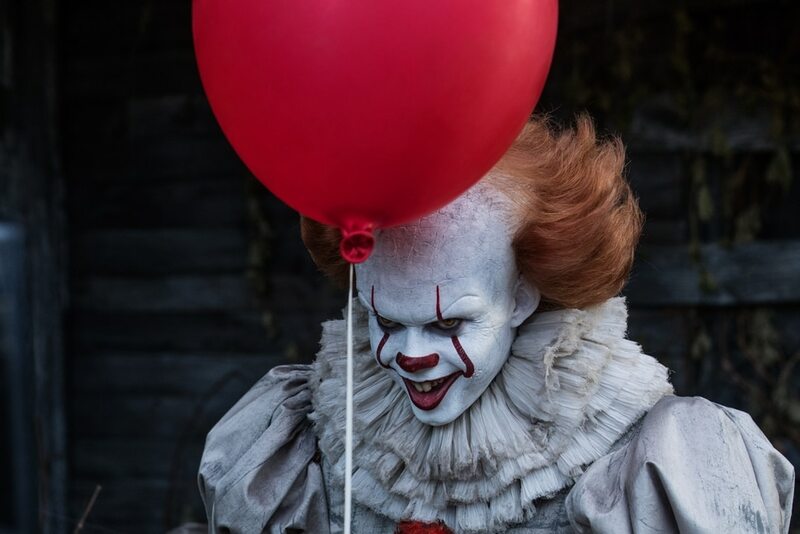 The fall movie season kicks off this weekend with a title from the modern canon of horror: Stephen King’s “It,” in which seven 13-year-olds face a recurring terror that has gripped their town for generations. The emergence of “It” — based on King’s 1986 novel, which spawned a 1990 TV miniseries — is part of “a throwback to the ’80s,” Hardle said. (Brooke Palmer | Warner Bros. Pictures) Pennywise (Bill Skarsgard), a clown that terrorizes children in a Maine town, is the central figure of "It," based on the Stephen King book. Another example of a rebooted horror franchise is “Flatliners” (opening Sept. 29), a remake of the 1990 thriller about medical students who stop their hearts for kicks — and discover something sinister crossing back from the other side. The original starred Kiefer Sutherland and Julia Roberts; the new version features Ellen Page, Diego Luna and Nina Dobrev. “It’s time to reboot some of the classic ’80s stuff, for a generation that hasn’t seen that yet,” Hardle said. Another ’80s trend — serial-killer movies — may be coming back, too. Swedish director Thomas Alfredson (“Tinker, Tailor, Soldier, Spy”) adapts Jo Nesbø’s disturbing serial-killer thriller “The Snowman” (Oct. 20), with Michael Fassbender as detective Henry Hole. Meanwhile, “Jigsaw” (Oct. 27) resurrects the puzzle-creating killer from the “Saw” movies, a franchise that supposedly concluded back in 2010. And a chainsaw-wielding killer is the baddie in the horror-spoof “Boo 2! A Madea Halloween” (Oct. 20), with Tyler Perry reprising his housecoat-wearing grandma character. (Brook Palmer | Lionsgate) Laura Vandervoort stars as Anna, one of the victims of the resurrected Jigsaw Killer, in the horror movie "Jigsaw," a continuation of the "Saw" franchise. New technology inspires new horror, Hardle said. The internet and social media have spawned a new subset of horror movies — such as “Friend Request” (Sept. 22), where the scares are sparked when a college student (Alycia Debnam-Carey, from “Fear the Walking Dead”) unfriends a classmate online. An old-school technology pops up in “Polaroid” (Dec. 1), in which an instant camera brings instant pain to anyone whose picture it takes. Even auteur directors are getting their scare on. Darren Aronofsky (“Black Swan,” “Noah”) has Jennifer Lawrence going mad in an old house in “mother!” (Sept. 15). And sisters Kate and Laura Mulleavy, known for their Rodarte fashion brand, make their movie debut with “Woodshock” (opening sometime in October), with a woman (Kirsten Dunst) descending into paranoia. Trends in horror “absolutely reflect what’s going on in the wider world,” Ward said. In the ’50s and ’60s, as Cold War headlines raised fears of nuclear annihilation, radiation-driven monsters like Godzilla were in vogue.